The left tube of the Brancic tunnel on the section of Corridor 11 from Lajkovac to Ljig was excavated on Friday, March 30, 2018. The works were attended by Serbian President Aleksandar Vucic and Minister of Construction, Transport and Infrastructure Zorana Mihajlovic. The right tunnel tube was excavated in August 2017. The tunnel is around 950 meters long, and the value of the works on the tunnel is USD 37 million. The construction is carried out in three shifts, with 280 workers. The Lajkovac-Ljig section is 24 kilometers long and the main contractor is the Chinese Shandong Hi-speed Group, which is also building the 26.23-km Obrenovac-Ub section. Vucic announced that the Ministry of Construction, Transport and Infrastructure would open a contest for naming Corridor 11 in the upcoming days. 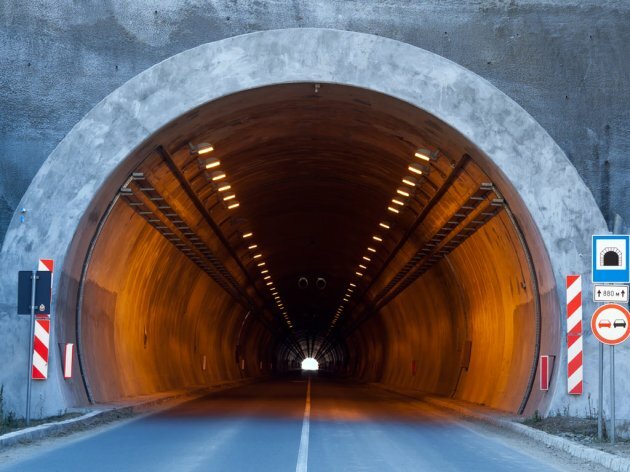 Earlier that Friday, Mihajlovic told RTS that the Brancic tunnel was the longest one on Corridor 11 and that it was the final component of the hardest part of the section. – I believe that we will have 104 kilometers from Obrenovac to Preljina by the end of the summer – Mihajlovic pointed out and added that the construction of the Preljina-Pozega section should begin no later than in March 2019. – This is the hardest section and the amount of money we've invested is truly big – Mihajlovic says and adds that the section from Pozega to Boljare can't be expected before 2020. – Montenegro is building its section, which is smaller, but still difficult. The section is very important when it comes to safety, as we will bypass the Ibar Road – the minister points out and says that Corridor 11 should be completed in 2024.